I actually originally started writing this as a comment to Sylvia Lawrence’s post on her blog Heart My Backpack about “Why I’d Never Move to Japan Again .” However, as I continued to write and my comment got longer and longer, I instead decided to make my own post about it, because I think Sylvia talks about a side of Japan that many people don’t realize exists. If you are not Japanese, you will never be Japanese. This may seem like such an obvious statement. Duh, of course if I’m not born Japanese, I won’t magically become Japanese. To most people, that’s not a big deal. However, it is a fact you have to learn to accept if you intend to live in Japan, because it will come up again and again, even after you’ve lived there for 20 years. You can walk like a duck, quack like a duck, but you still won’t be a duck. Sorry. In my opinion (and you’ll hear a lot of other people say this too), Japan is a very group driven society. It’s very different from the individualistic society I’m used to in the United States. This group-oriented way of thinking makes it very easy for you to quickly feel like an outsider. 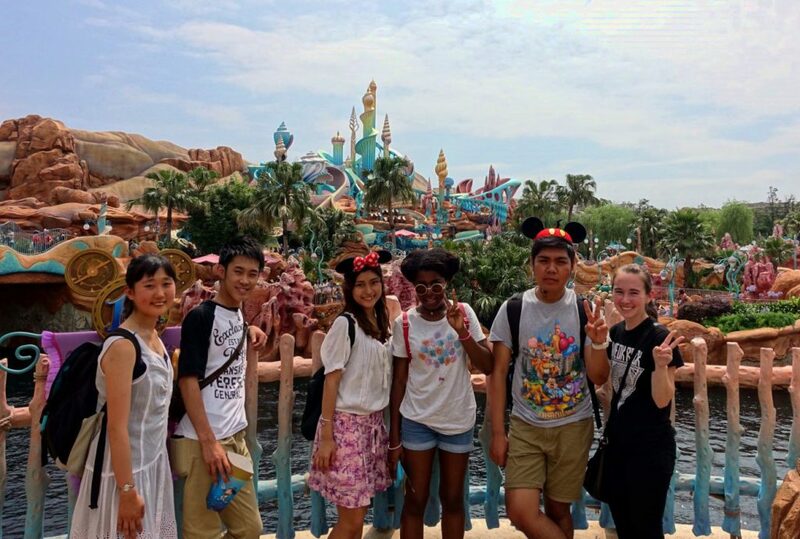 Before studying abroad in Japan, I spent three years helping the exchange students who had come to my university from Japan adjust to life here in the United States. Yet, despite how much I would sometimes hang out with them, I usually ended up feeling more like a resource to them than a friend. I never managed to break into that inner circle and community they had among themselves. It was frustrating and was one of the main reasons I ended up stepping down as president of my school’s organization. Growing up I skimmed through a book called “Learning to Bow” by Bruce Feiler. In it, he addressed many of the issues he faced about being a foreigner in Japan, the way people would constantly be amazed that he knew how to use chopsticks or knew even a few words in Japanese. 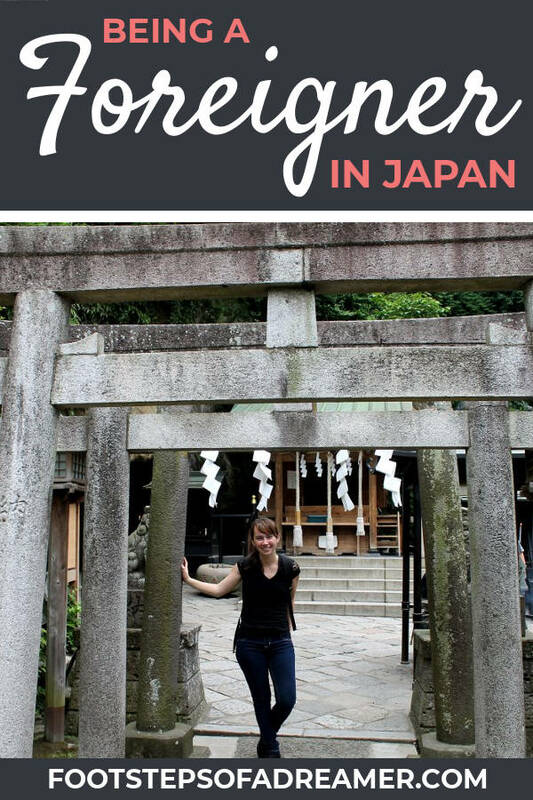 Japan has gotten better since that book was written, but just as Sylvia discovered, Japanese people still tend to be amazed when foreigners can do “Japanese things,” even if I avoided all the typical Japan travel mistakes. I remember going to a McDonald’s once in Hiroshima. Mind you, the menu is practically exactly the same in Japan as it is in the United States. Chicken McNuggets are still Chicken McNuggets. The menu is simply written in Katakana (the Japanese writing system). I practically ordered in English and just added my best attempt at Japanese pronunciation. The cashier was surprised and told me how amazing my Japanese was. Oh, and don’t worry Sylvia, you weren’t paranoid. You really do get stared at as you walk down the street (although I’m not sure that’s any more comforting than just telling you that you’re paranoid). Thankfully, I have brown hair and stand 5’0. I fit in a little better with the 5’2 black haired Japanese girls, but I was still consistently stared at everywhere I went, and I lived in Tokyo! Yet, even in Tokyo, foreigners were few and far between. The stares I got used to. Eventually I stopped caring whether or not people were looking at me. The real problem came with the way people sometimes let their amazement and wonder take over and forget common social mannerisms. Some people in Japan, especially those who live in the more rural areas, might possibly have never seen a foreigner before. Sylvia, I’m not surprised that you had people come up to you and tell you that they had seen you before and knew everything you had bought at the grocery store. While that can be annoying, it can take on even more extreme forms. I had issues with some guys thought that they could just invade my personal space. Thankfully, my experiences weren’t as bad as some other people have had with these men, these Chikan, but it was still unsettling. Sylvia, I also understand your comment of feeling caught in the middle between the completely ignorant tourist and the fluent Japanese speaker. I studied Japanese for three years before studying abroad in Japan, and while I could usually understand 70% of conversations, I often couldn’t think fast enough to actually participate in them. From just beginning to study Japanese to becoming fluent in it, this is probably the most difficult point in our studies, because you feel like you are right on the verge of breaking into that inner circle and finally being able to connect with other Japanese, but somehow we continuously fall short. When you read my posts about my time in Japan, you would think I had an absolute blast, and I did. 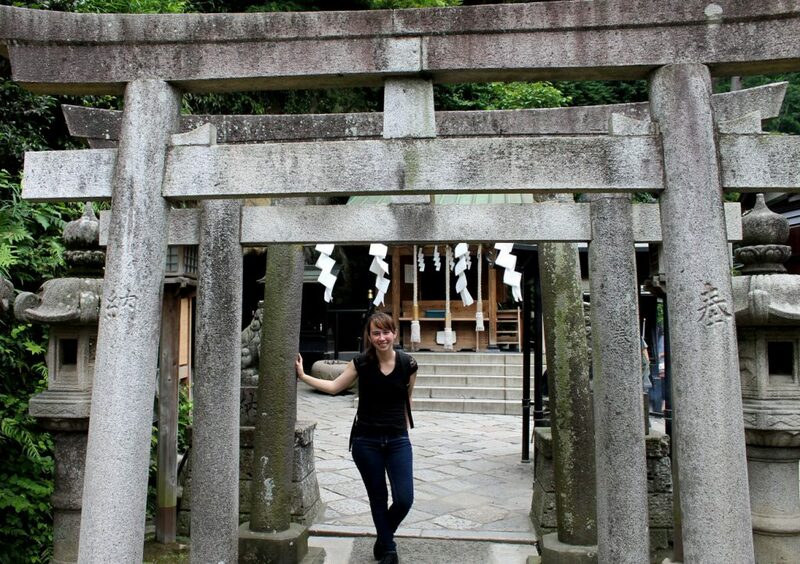 I would absolutely love to (and probably will) go back to Japan, but only as a tourist. There are many things that I love and miss about Japan, and whenever I talk to friends and family about Japan, I tell them how absolutely amazing it is. I just don’t think I could ever permanently live there. There are a lot of pros and cons about living in Japan as an American woman, and for me, the cons outweighed the pros. I don’t want my opinion, or even Sylvia’s opinion, to ever make people think that living in Japan is absolutely awful. Everybody is different, and there are plenty of people who move to Japan and absolutely love it. I am sure that I will find a place that I love, while other people had a bad experience with it. I’ve learned that Japan is not the place for me, but the world is a big place. I have no doubt I will find where I belong. Find out what else you should know before visiting Japan! I haven’t lived in Japan, and I only spent a week in Tokyo, but I understand what you mean. I’m from Canada, but I’ve been living in Ireland for over a year (on a temporary work holiday visa). People here ask if I like Ireland, and I do, but I’m always aware that I’m not Irish (I think there’s like a great great great grandparent somewhere in my ancestry who was, but if you say that makes you Irish here people will laugh). Granted there isn’t nearly as much culture shock living in Ireland as there’d be living in Japan (I’d assume), but I know I’m not Irish. Even if I learn the slang, drink the drinks, eat the food, talk to the locals, pay rent and bills here, see every corner of the country etc. I’m still an outsider…a temporary guest in a beautiful country. Ireland has become a temporary home for me, and I’ll miss it when I have to leave, but I won’t ever be able to say I’m Irish (except maybe on St. Patrick’s Day when everyone gets to claim that). Great Article. Japan is a very homogenous society and likes it that way. Just look at their immigration policies. However, it is a friendly country to tourists, which is great (although I think living there has different challenges, as you shared). I liked visiting and I’d go back, but only for a few weeks and with limited expectations. I definitely agree. As a country, I absolutely loved Japan. I’m actually considering going back for the 2020 Olympics. I’d probably visit Japan countless times, but it’s just not a country I could ever permanently live in. My daughter currently lives in Seoul, South Korea and would probably echo your sentiments. Korea is also a group driven society and as much as she has tried – she also studied abroad there during college – she has mainly hung out with other “outsiders” or non-Koreans. She truly loves Korea but not fitting in sometimes takes it’s toll. When her current contract is up, she will be moving stateside again. Because, as you said, as much as she loves Korea and has enjoyed her time there, she will never be Korean. Interesting to hear. I’ve often heard from other people about the struggles foreigners often face in Japan to fit in, but I think that’s just because I spend quite a bit of time interacting with various Japanese communities. I didn’t realize that happened in South Korea as well. Hopefully with time they will become more open to foreigners. I visited Japan a bazillion years ago to stay with a friend who had moved there to teach English, he taught me ‘Watashi wa yoku nihongo o hanasanai’, ha! I found everyone wanted to practise their english on me, so it worked out all right. Seriously, I have much respect for anyone who can nail speaking another language, I studied Japanese in school for like 5 years, and only managed to master counting to 10 and some basic greetings. Ha! I agree. I had a lot of people who wanted to practice English with me, so it worked out that I was 100% fluent. For tourists, it’s absolutely great. You can get away with basics. However, the struggle comes when you stop being a tourist and stop living there. To the many of the native Japanese, they will always see you as a tourist. I can totally relate to the never-really-fitting-in feeling. I lived in China for awhile (in Beijing), and even though I shopped at the same little market every couple days, I still got constant stares from the cashiers. Although it’s interesting that Japanese people were surprised when you could speak Japanese — in China it was the opposite, like you were expected to be fluent in Chinese. None of it really phased me, and I’d totally move back if I had the chance, but it was very different from what I’d been expecting. Interesting that you were expected to speak Chinese. Here in America, we have the same thing. We expect people to speak English. I was surprised to find it the opposite in Japan. I have yet to visit Japan so I can only guess at how you felt during all this but wow, what a great read. I enjoyed every word of it and certainly learned a lot about their culture and society. I think it was an absolutely great place to visit as a tourist, and I would highly recommend it to anybody else planning on visiting, but unfortunately, like most things, it’s not perfect. This is a great post! I traveled in Europe for a couple months so, I can relate to not fitting in to a degree. I can only imagine the struggle of fitting in socially in Japan. With that said, I think its an important feeling to be so uncomfortable. It’s eye opening to other cultures and sort of puts you in your place. I would never change my experience. I can definitely understand that sometimes it’s a good thing to feel uncomfortable. Getting out of your comfort zone helps you grow as a person. That’s why I love travel so much. I get to have so many unique experiences that I never would have been able to have at home. However, if it’s some place that you are living and plan on calling your home, I think it’s important to feel comfortable, something I would never be able to do living in Japan. I can imagine that eternal sense of otherness would be awkwardly sad. As a writer I always feel like an outsider, always observing, looking for understanding and essence. After living in Japan after 3 years, even being 5’0″ and dark haired it must’ve been a bit alienating. I definitely agree that as writers, we often look at the world differently than many people which in itself can be alienating. I guess I just didn’t stand a chance in Japan, haha. What an honest post! I have never been to Japan and you have shown me a different Japan from what I knew about it. It’s disturbing sometimes when people know everything about you, notice every move of you…. like they knew what all you bought in a grocery store ! Yeah, it’s a side of Japan that doesn’t get talked about much, but I think that’s slowly changing. As a tourist though, it’s an absolutely fantastic country. I would go back in a heartbeat. I visited Japan twice before really find their culture unique but I really admire their politeness and orderliness. I can definitely understand where you are coming from–traveling to a place and living in a place are such different experiences. We loved Japan but only spent a couple of weeks there. I’d love to go back someday, but I don’t think I could live there full time either! Thanks for sharing your insights! I definitely hope you get to go back. I’m actually toying with the idea of going back for the 2020 Olympics! When we moved overseas for the first time last year, we considered Japan but even though it’s such an incredible place, I was a little worried about my ability to feel at home there. We would like to live in Japan someday, though, and I think a big part of feeling part of that community is learning the language first. You’ve definitely done it all right. There’s only so much you can do to truly blend in. That is true, and I definitely wish I had learned more of the language. While my Japanese was pretty decent, I was still far from fluent, so it was just another stress point. Being closer to being fluent probably would have made things at least a little easier.